Sputnik: This is the first time when Russia has won classical music Eurovision. What feelings did you have when you learned about your victory? Ivan Bessonov: The feelings were mixed, as I believe that in art, just like in any dimension, there are no divisions between winners and "non-winners". I think that all participants of the contest demonstrated great results and a high level of achievement. Each is a professional, each deserves first prize and to be called a winner. My feelings were mixed: on the one hand, there was joy, on the other — sadness that not everyone can win. Sputnik: What was the main goal for you as a musician participating in a contest of this scale? Ivan Bessonov: To get the audience hooked. To make the audience experience pleasure. To feel festive emotions. I'm afraid to call it a contest, for me personally, it is a music festival. Thus, everything was so wonderful that the atmosphere was flowing into my hands. Sputnik: Many other contestants from other countries participated. Have you heard them perform? Was there anyone whom you liked the most? Ivan Bessonov: I never listen to the music of my competing colleagues, I will call them this way. It is necessary to concentrate on your composition, to immerse in the abyss of your music in order not to mix emotions received from performances of others with mine. Sometimes, after the contest, just out of curiosity, I listen to the compositions of other participants, however, as a rule, I don't do it. Each composition has its own emotional wave. It is vital to be ready for the emotional wave of your compositions. Sputnik: You have two more brothers who play music instruments as well. Please, tell more about your family. Ivan Bessonov: I have two younger brothers — Daniil and Nikita. They practice with violins. We have kind of a family ensemble. The three of us often perform together, often play music. I compose music for us — for two violins and the piano. My mother is a violin player, my father is a pianist. All of my family is involved in music, we live in it; flowing creative live energy dominates in our family. Sputnik: What near-term plans do you have with regards to your studies and your performances? 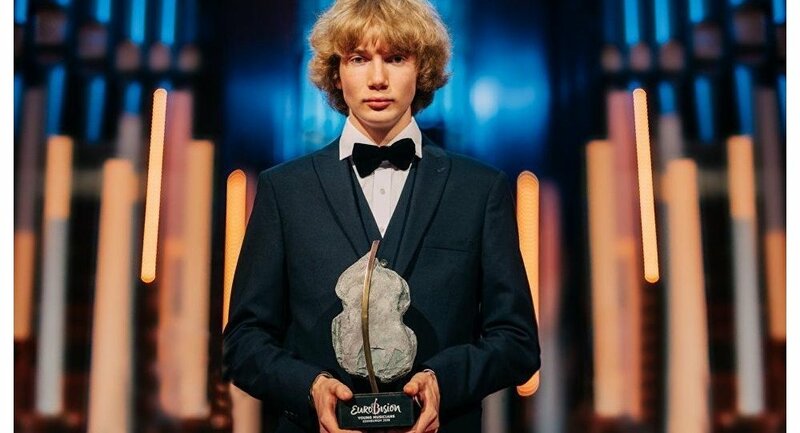 Ivan Bessonov: In the nearest future, I will have to perform at the festival "Stars at Baikal," organized by Denis Matzuev. In Vladivostok, I will have to attend the festival of Valery Gergiev, I'll tour in Germany with Vladimir Spivakov, do Tchaikovsky concerto performances in the philharmonic, and perform Chopin with my brothers. These are the main future concerts. It is extremely difficult to distinguish one pianist out of the professionals who inspire me. It is possible to adopt something from each. However, without any doubt, I can put Vladimir Gorvitz on a pedestal. Among contemporary artists: Grigoriy Sokolov, Eugeniy Kisin, Denis Matzuev.